Disabled holidays in Portugal offer warm Mediterranean climate, idyllic views and stunning coastal hideaways – Portugal is a destination suited to all wheelchair users. A country so rich in culture and history portrayed through it's medieval castles and seaside villages, there's so much for disabled wheelchair users to see and do that will quite simply take your breath away. There's also the magical clear blue sea and silky golden beaches. It is a land of two halves. The north is home to rolling vineyards that overlook Costa Verda, while in the south, the disabled holidays in Algarve boast stunning, disabled accessible beaches, lush landscapes and exotic Arabic influences. The charming island of Madeira is famed for its botanical gardens, fine wine and beautiful scenery. Many Algarve beaches are now classified as 'Accessible Beaches' meaning that not only do they provide ramps, footpaths and walkways directly to the sand but also meet certain criteria for restaurant tables, bar and counter heights. They also have first aid posts and disabled toilets and should be equipped with wheelchairs, walking aids and other equipment capable of being used in the sea as well as on the beach. Flight time to Faro airport is appromivately 3 1/2 hours. So if this has got you in the mood for a bit of sunshine, feel free to call us on 0800 622 6000 to speak to one of our experienced travel consultants about the best time to visit Tenerife. Holidays to Albufeira are all about variety. You can try a different beach every day, idle away afternoons in the old town, and enjoy a night out on The Strip. Albufeira is the place that put the Algarve on the map. The picturesque old town teems with pavement cafes and boutiques, and the modern resort is lined by a main strip, which sparks into action at sundown. The whole scene is framed by a 30-kilometre coastline of unspoilt beaches and little bays. There is a warm and welcoming nightlife to be explored here too, with pubs and nightclubs competing to offer guests the greatest possible night of their disabled - friendly holiday. 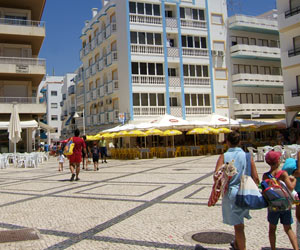 Although the municipality’s tourist facilities and its nightlife are perhaps the most famous in the Algarve, these continue to exist alongside another reality: that of peaceful villages close-by where traditional handicrafts are still practised, such as the manufacture of the hand-painted decorative tiles known as azulejos, copper articles or rugs and mats made from esparto grass. Transfer time from the airport is approximately 45 minutes. Call 0800 622 6000 todays to speak to one of our experienced travel consultants about a disabled friendly holiday in Albufeira. 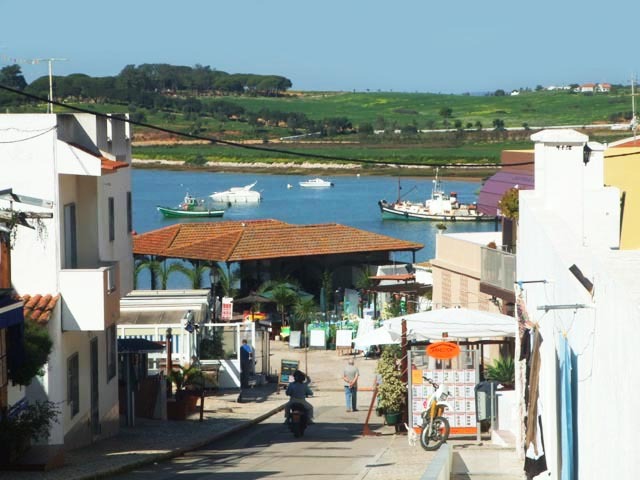 Holidays to Alvor take you to a real fishing village and give you waterfront restaurants, sandy beaches and easy access to the rest of the Algarve. The shallow waters of the lagoon make swimming for people with mobility problems more accessible and the disabled friendly boardwalk across the dunes are accessible for a stroll. Enjoy a romantic meal on the quayside where the fish restaurants are among the best places to eat in Alvor, and serve up freshly caught lobster, monkfish and other sumptuous specialities. With narrow cobbled streets leading to the harbour, and its own lagoon and river, Alvor radiates old-world charm. Not only that, it’s got some of the best restaurants in the western Algarve, as well as music bars to keep you entertained at night. The beaches are pretty charming too with all golden sand, warm waters and sheltered spots. Call 0800 622 6000 todays to speak to one of our experienced travel consultants about a disabled friendly holiday in Alvor. Call 0800 622 6000 todays to speak to one of our experienced travel consultants about a disabled friendly holiday in Amarco de Pera. 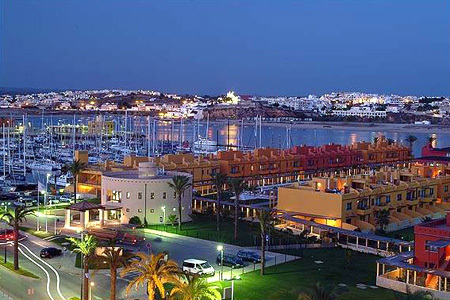 Lagos is a fantastic town in the western Algarve that can certainly be enjoyed by all age groups. It is full of historical interest with it's origins dating as far back as 2000 years BC when it was known as Lacobriga. The older part of Lagos is still circled by the city walls constructed during the 16th century. Lagos is one of the most visited cities in the Algarve and Portugal, due to its variety of tourist-friendly beaches, bars, restaurants, and hotels. Summer holidays in Lagos aren't short of a beach or two either. From tiny coves to larger stretches of rock studded sand are tucked into the coastline around the old city. Meia Praia, Luz , Porto de Mós all have the Accessible Beach flags near Lagos. Just across the river, Meia Praia( Accessible Beach) offers a long run of sandy beach nicely sheltered from the north breeze. 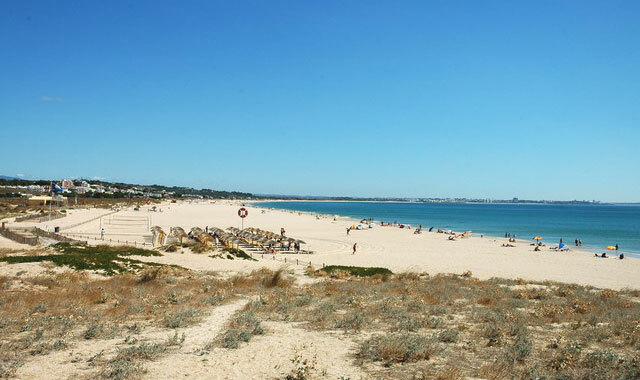 This beach forms the other half of the previous walk from Alvor to Lagos. It takes its name from being part of this walk as 'Meia' indicates the word 'half'. The approach to this beach is from the town of Lagos and it's easily accessed. Meia Praia is popular among windsurfers and surfers alike, as it faces the open Bay of Lagos and it's protected to the west by Ponta da Piedade. The beach is possibly a little longer than the other half at Alvor, and there are many small beach bars to satisfy the thirst for those who wish to walk its length. Call 0800 622 6000 todays to speak to one of our experienced travel consultants about a disabled friendly holiday in Lagos. Moncarapacho is a small country town in the middle of an area which is home to orange orchards and horticulture. It exudes a calm, unhurried atmosphere of people going about their business in a relaxed and friendly way. 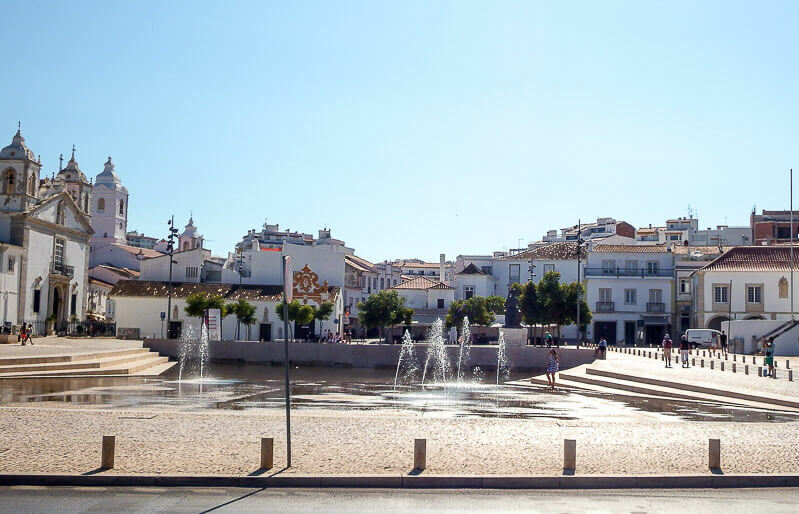 The 'Centre' of Moncarapacho is a charming cobbled square alongside the church where you can sit and have a drink or a meal beneath the jacoranda and palm trees. The town offers all the basic facilities, including three good small supermarkets and a small local produce market. There are also several decent restaurants and plenty of pavement cafes. Call 0800 622 6000 todays to speak to one of our experienced travel consultants about a disabled friendly holiday in Moncarapacho. 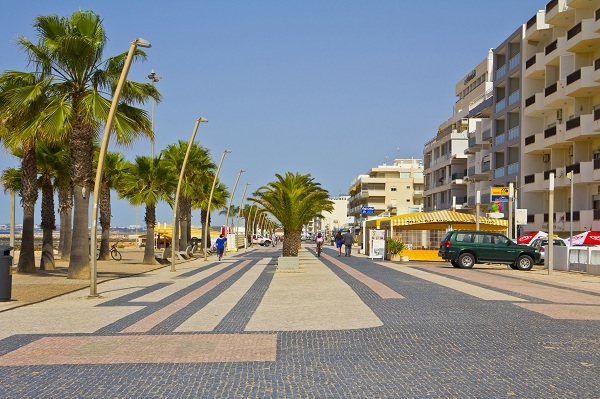 Monte Gordo is a large town in the east of the Algarve The east is quite different from central and western Algarve - being a lot flatter, and the beaches backed by sand dunes, not cliffs. The water tends to be a few degrees warmer as well. It is great for all ages - the beaches are fantastic for children and access is excellent for people with mobility problems. The flat cobbled pedestrian areas in and around the town make it easy for pushchairs and wheelchairs. Monte Gordo is a large town, spaciously laid out with wide streets. The high-rise hotels and apartment blocks are a characteristic feature of the Monte Gordo landscape, but as you’ll see, they don’t detract from the overall feel of the town because the town is so big and so well laid out. The town has an abundance of places to eat and drink, with large areas of outside seating. 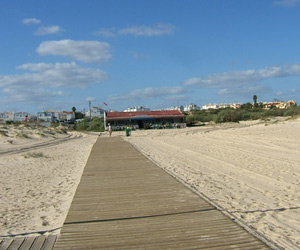 Praia de Monte Gordo is supervised during the 'beach season' and is classed as an 'Accessible Beach'. Against the backdrop of the casino and the high-rise buildings either side, the beachfront is dotted all over with beach bars, restaurants and kiosks. So if you fancy a drink or a bite to eat, you’ll certainly be spoilt for choice. If you have younger children, the beach at Monte Gordo is perfect. It is so flat and wide that it’s really safe for little ones and the water at this end of the Algarve is slightly warmer for a swim or a paddle. Call 0800 622 6000 todays to speak to one of our experienced travel consultants about a disabled friendly holiday in Monte Gordo. Established in the 30s as a quiet and elegant resort, somersaulting in to the mainstream in the 70s. Praia da Rocha is actually the main beach in Portamao, but thrived during the 19th Century and became a lively resort of its own. The vast beach here has long been the calling card. But the rock-solid portfolio now includes a sweep of restaurants, bars and clubs, a paved promenade, a marina, and a casino. Call 0800 622 6000 todays to speak to one of our experienced travel consultants about a disabled friendly holiday in Praia Da Rocha. 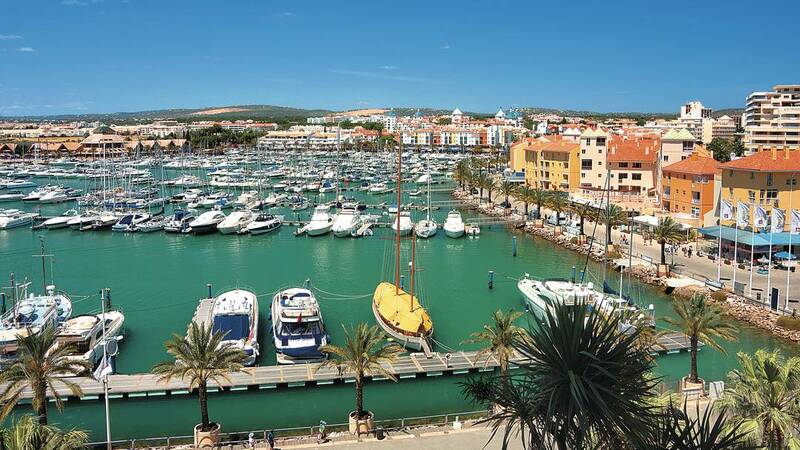 Boasting a privileged and unique location, on the far south-westerly tip of Europe and creating a bridge between the Atlantic Ocean and the Mediterranean, Portimão is a place which has a fantastic climate and a very rich natural beauty. It is a land which holds its rural and maritime roots in high esteem. 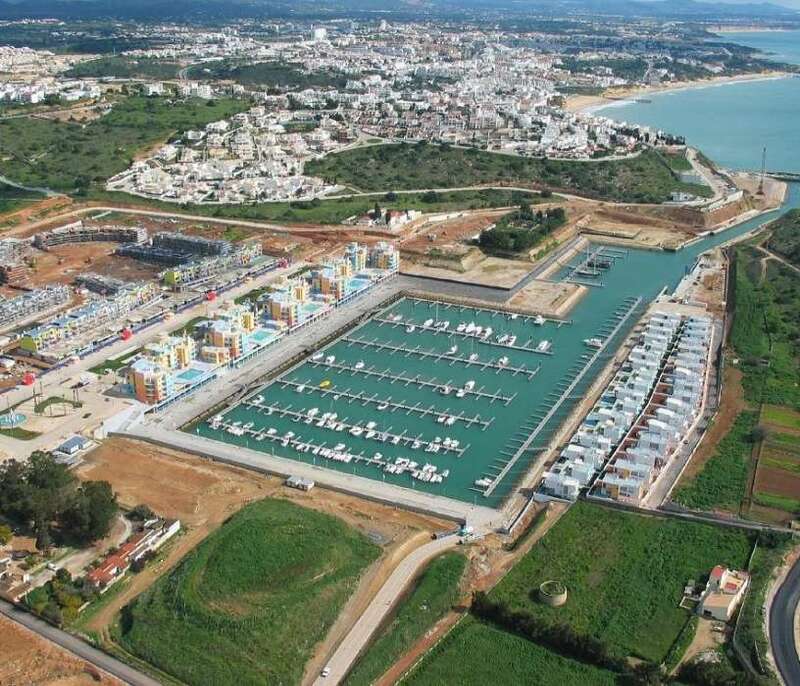 The biggest town in the western Algarve and sitting on the bank of the Arade river facing Ferragudo on the opposite bank, Portimao has a blend of 19th and 20th century buildings. Shopping malls and retail parks have made Portimao one of the best towns for shopping in the Algarve, and the resort an offer a wide range of outlets selling everything from clothes, to electronics, to souvenirs.There are also plenty of bars, restaurants and café’s where you can sit for a bite to eat or a drink and watch the town carry on around you. 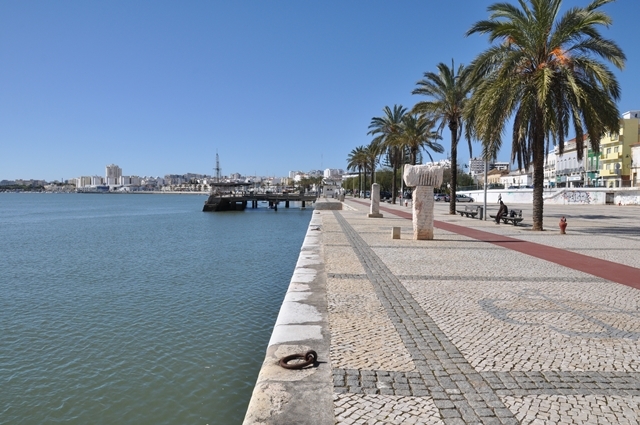 To see the more relaxed side of Portimão, wander down to the river front, where the 'Manuel Bivar' gardens are, and have an ice-cream or a coffee at one of the cafe's along the front. 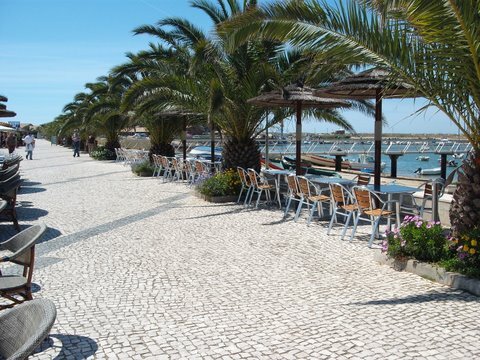 You will also find Portimão's famous fish restaurants at the end of the waterfront. Accessible holidays in Portimao, Algarve give you plenty to keep occupied. A visit to Portimão gives you the chance to discover a wide variety of beaches with many different characteristics and to enjoy them at any time of year. You will be pleasantly surprised by the extensive sands of Praia de Alvor, the little hidden bays, the cliffs and caves along the coast, the rocky beaches like Praia do Alemão, the lively buzz of the more family-friendly beaches and the unrivalled beauty of Praia da Rocha. Call 0800 622 6000 todays to speak to one of our experienced travel consultants about a disabled friendly holiday in Portimao. Sagres is remote, adventurous and unlike any other destination in southern Portugal. The small town is situated at the extreme western tip of the Algarve, a region of dramatic natural scenery; comprising of raging seas, towering cliffs and vast beaches. There are lots of places to wine and dine or simply have a snack - bistro style, pizzeria, typical Portuguese. There are restaurants with fabulous views, there are restaurants in enclosed patios along the main street where you can watch the world go by. There are glorious sandy beaches protected by high cliffs. Sometimes the wind blows, but the scenery is still spectacular! It has history. It is quiet, but also very popular with surfers who, no doubt, enjoy a get together in the evenings to discuss the best waves. You can sit at a cafe in the square and read the paper, or you can watch the local menfolk play boules. Call 0800 622 6000 todays to speak to one of our experienced travel consultants about a disabled friendly holiday in Sagres. Quarteira has the best of both worlds: authentic Algarve with its promenade, cobbled streets and lively fishing community, and a world class resort with entertainment for all ages. Despite the fast-paced development of the local tourism and hospitality industries in recent years, Quarteira has managed to keep its charm intact. The palm-lined Avenida Infante de Sagres promenade is Quarteira's equivalent of a high street where locals and holidaymakers flock to people-watch, drink and dine, and enjoy the lovely view out to the sea. Quarteira's sandy Blue Flag beach is an accessible beach great for people with limited mobility. Thanks to the breakwaters, the beach is also considered one of the safer ones for kids. Call 0800 622 6000 todays to speak to one of our experienced travel consultants about a disabled friendly holiday in Quarteira. Vilamoura is perhaps the most luxurious resort in the Algarve, and is certainly one of the most prestigious. 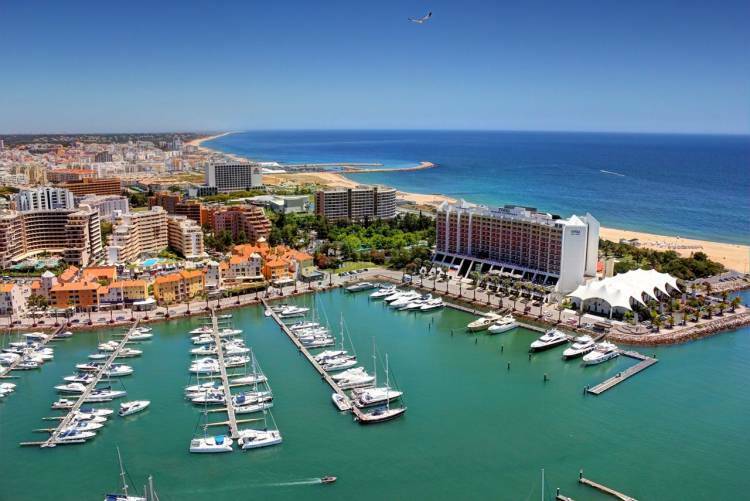 With holidays to Vilamoura, you get a buzzing marina filled with bars and restaurants, a sprinkling of Roman ruins plus a duo of sandy beaches. 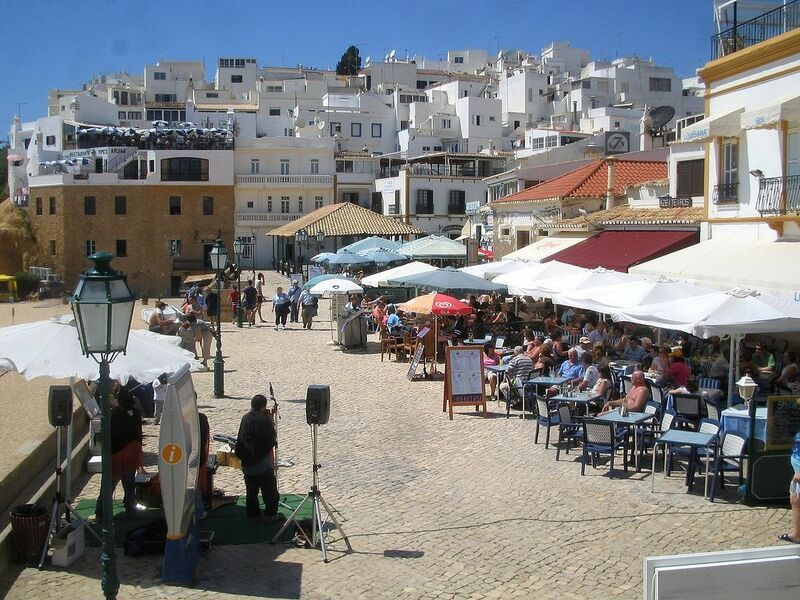 Sample Algarve cuisine at the marina or find a bargain in the Quarteira gypsy market. Accessible boat trips offer guests the chance to see Vilamoura’s coastline from a different angle. Here, visitors can watch for dolphins, try out some local fishing and choose from a number of different routes focusing on a selection of varied views and regions. 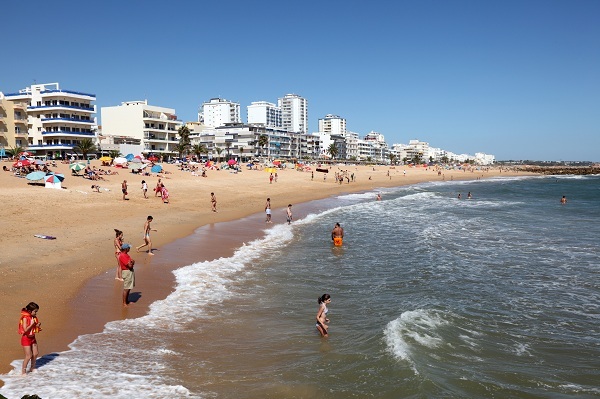 Vilamoura boasts 2 sandy beaches - Praia da Marina and Praia de Falesia. Sunloungers and umbrellas are dotted along both, and a long promenade between them brings in plenty of bars and restaurants. Call 0800 622 6000 todays to speak to one of our experienced travel consultants about a disabled friendly holiday in Vilamoura. Our experienced travel consultants can organise accessible tours in the Azores. 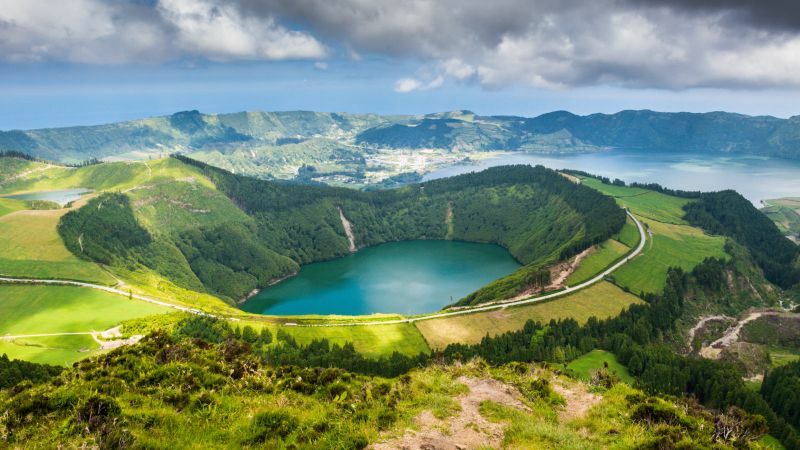 The island of Sao Miguel offers a variety of options with 4 days and 7 days tours with accessible excursions. 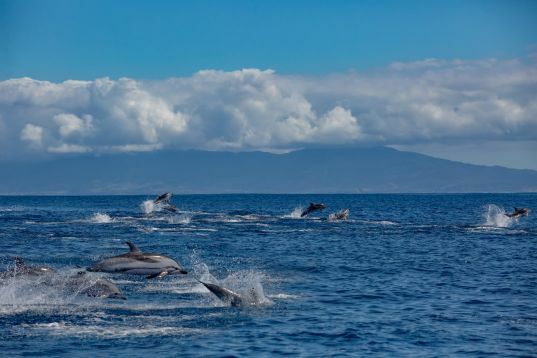 Visit a thermal bath in an accessible pool or take a boat trip in search of playful pods of bottlenose dolphins or sperm, humpback or minke whales. We have a variety of accessible tours in the Azores from "shopping and culture" tours to activity tours, the choice is yours. Call 0800 622 6000 todays to speak to one of our experienced travel consultants about a disabled friendly holiday in Sao Miguel. 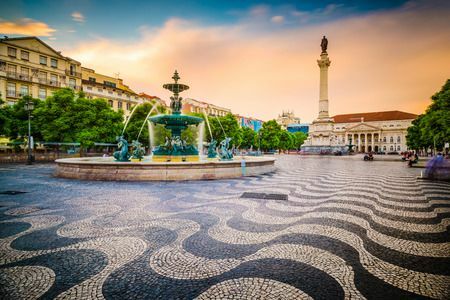 Seven cinematic hillsides overlooking the Rio Tejo cradle Lisbon's postcard-perfect panorama of cobbled alleyways, ancient ruins and white-domed cathedrals - a captivating recipe crafted over centuries. Lisbon, with its cobbled streets and hills, may be difficult for some travellers with disabilities, but not impossible. The Baixa’s flat grid and Belém are fine, and all the sights at Parque das Nações are accessible. A wide range of accessible itineraries can be organised to create an enjoyable disabled holiday in Lisbon. An area of Lisbon which shouldn't be overlooked by disabled wheelchair users is Balem. This area is mostly flat, meaning many of the sights are easy for a wheelchair user to visit - and there are many sights to see in Balem - filled with some iconic landmarks and many architectural and historical sights such as the Balem Palace and an ancient monastery. This area is on most people’s to-do list when visiting Lisbon and it's absolutely perfect for a day-trip. Call 0800 622 6000 todays to speak to one of our experienced travel consultants about a disabled friendly holiday in Lisbon.